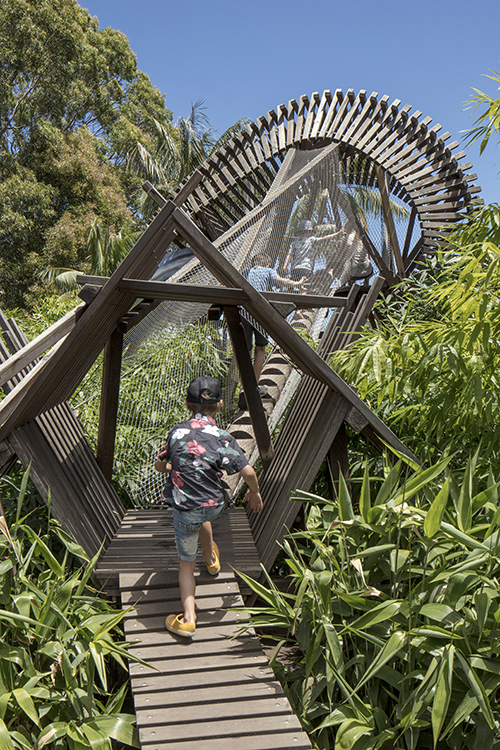 One of the challenges in designing and building children’s playgrounds is creating a space where they can explore freely and safely at the same time. 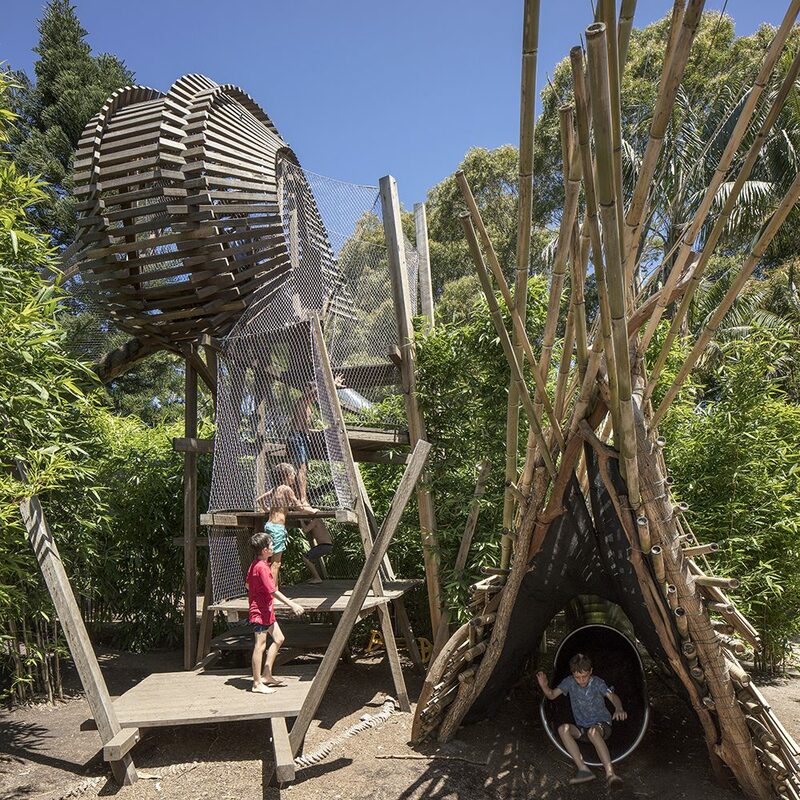 This was one of the main considerations for the Ian Potter Wild Play Garden at Sydney’s Centennial Parklands, where Tensile had the privilege of creating a webnet mesh wrapping for a unique climbing structure. The garden is designed to provide outdoor learning experiences for children aged 2-12 of all physical abilities and cultural backgrounds. 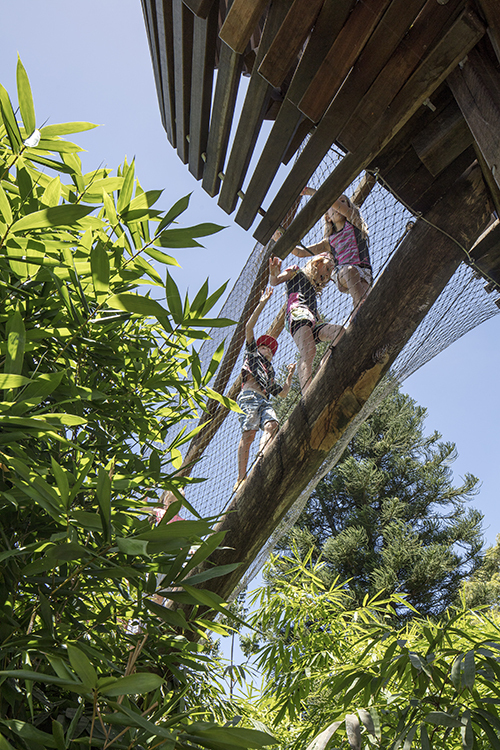 It allows children to connect with nature while learning about the environment, and to lose themselves in a magical world of exploration and play. 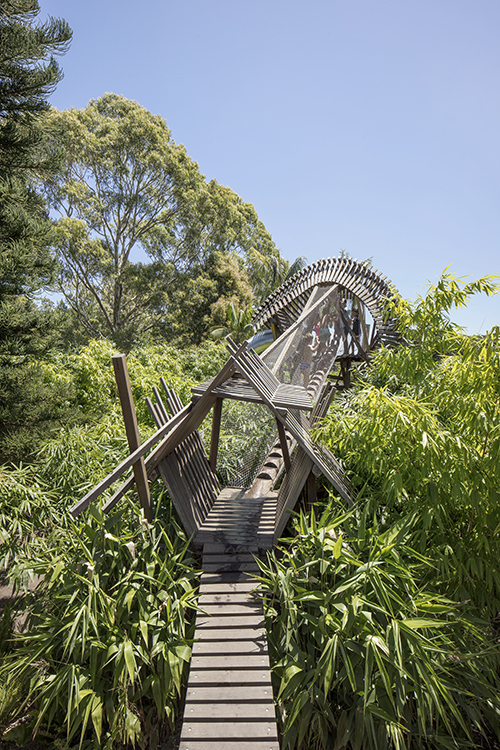 The garden includes bamboo forests, a wetland area, tunnels, a treehouse, climbing structures, and an area of endangered Eastern Suburbs Banksia scrub. A tactile play and learning space such as this was considered to be essential for the inner urban area of Sydney, where such playgrounds are lacking. The Ian Potter Foundation awarded grants of $1.5 million to the Centennial Parklands Foundation for the project. 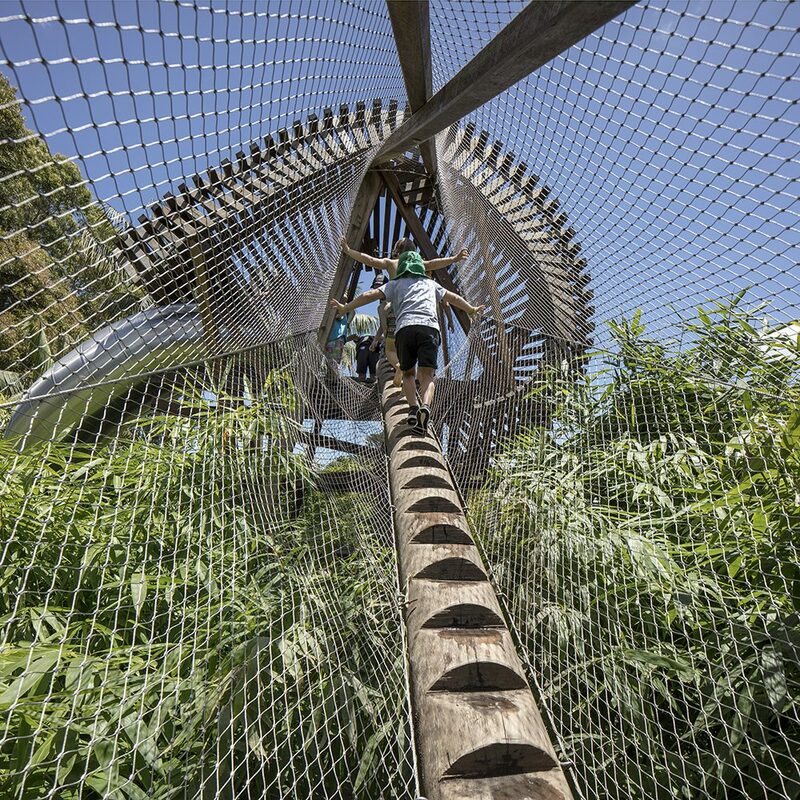 A highlight of the project is the climbing tower that resembles an eel skeleton – reflecting the eels that are common in watercourses in this area. 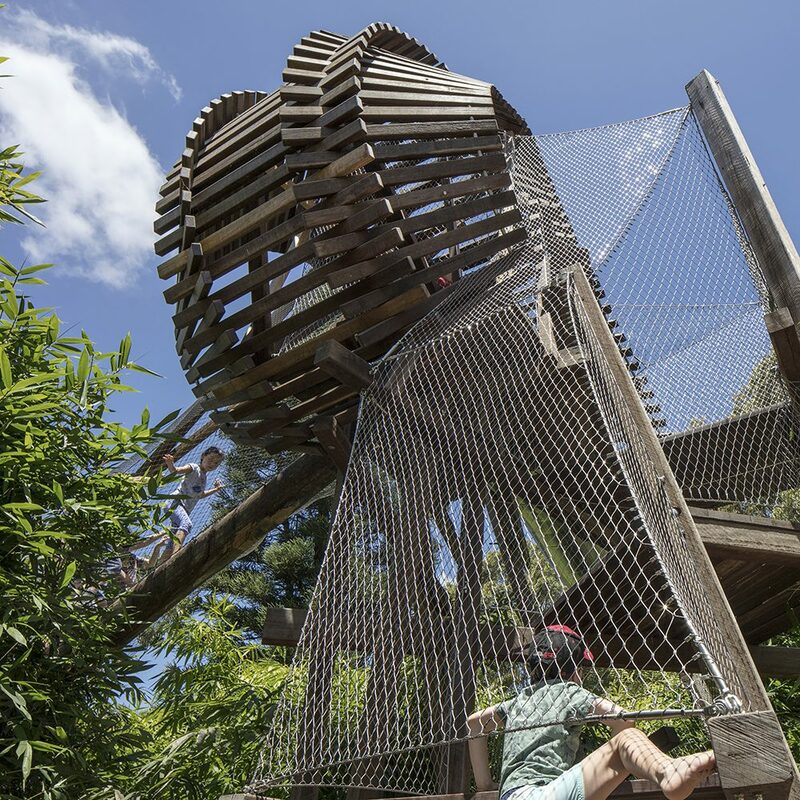 The climbing structure was designed by Aspect Landscape architects and built by Design Landscapes and Fleetwood Urban. 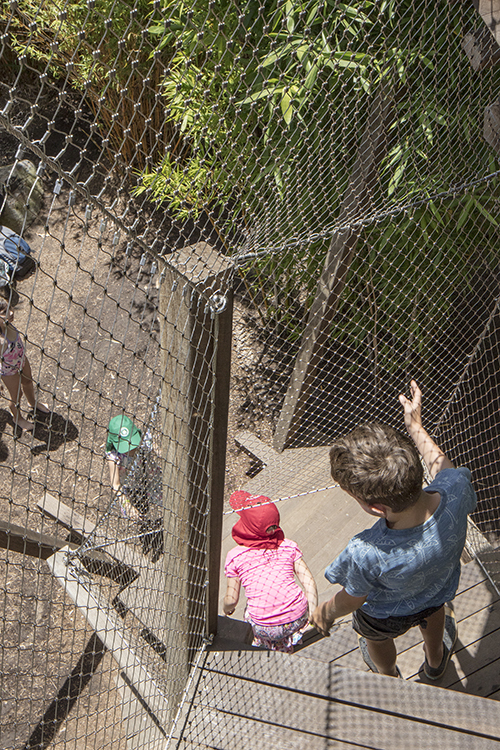 The Tensile 40mm aperture webnet mesh which wraps around the climbable eel complies with Australian safety standards while simultaneously being light and airy enough to not interfere in any way with the structure’s beautiful and unique design. Tensile’s webnet mesh is ideal for projects of this kind. The mesh has a malleable, almost fabric-like characteristic that enables it to be draped over or wrapped around structures of just about any shape. This makes it great for children’s playgrounds which often involve quirky shapes and structures that need to be safe enough for the kids to freely enjoy.